As a former classroom teacher, I can tell you that there is an art to crafting Christmas presents for teachers that they will actually like. You see, all of the gifts we receive are precious because of the fact that our students have given them to us. Unfortunately, they aren’t always useful. So, I decided to put together twelve gifts that I know any teacher would love! So, this is actually just a regular toolbox. However, in the world of teachers, having a teacher toolbox is essential because it holds all of the little things that tend to get misplaced throughout the day like paperclips, rubber bands, and white out. The only thing that would make a teacher toolbox better is a gift card to Teachers Pay Teachers that would allow her to purchase cute, coordinating labels. This truly is the gift that keeps on giving. 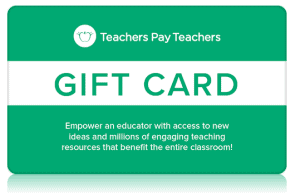 From $5.00-$500.00, these gift cards are perfect for every teacher because it gives them the opportunity to buy things for your kiddo. (Or she uses to buy the adorable labels for her new teacher toolbox.) Either way, it’s a gift for her that she turns around and uses for things that will help your child be a success! Teachers are obsessed with flair pens. If you’ve never taken the time to use them, you must! They come in every color imaginable and they make grading millions of papers so much more enjoyable. Do you ever have tough days that make you question some of your choices in life? Well teachers do, too. This bracelet is a beautiful reminder of why she chose this profession and why she spends so much time focused on helping your child. No gift guide would be complete without a Starbucks Gift Card. Between early morning bus duty and late evenings grading papers, every teacher can use a little pick me up! Make her day with a gift card to Starbucks. This may seem like a completely ridiculous gift, but I can promise you that the teacher in your life will love you for this! You see, waiting for the school laminator is time-consuming and really inconvenient. In most schools, the laminator is only available certain days and that means that everyone is trying to laminate at the same time. So, having a personal laminator allows the teacher freedom to laminate whenever her heart desires. If your child’s teacher already has a personal laminator, you can NEVER go wrong with laminating sheets. (These get gone very quickly and the price adds up when you are buying them in bulk. ) Consider going together with another parent and buying both the personal laminator and a pack of laminating sheets. Trust me, y’all will be very appreciated for your kindness. Does your child’s teacher love quotes? If so, this felt letter board would be an excellent present. In fact, it is so pretty that she might choose to display it at home. Either way, she has a unique gift that she can enjoy for years. We all love Joanna Gaines, and that is why this is one of my favorite Christmas presents for teachers! Just think about how excited your child’s teacher will be each time she gets a new issue. She’ll think about you and your child and how special you are to her. I actually own this backpack and I LOVE it! It has enough room for my computer, my planner, and other random items. Whenever I go anywhere that I will need more than just my purse, this is my go to bag. I actually used it when we went to Disney World last year to hold all of the snacks (and trust me, there were MANY snacks) and water bottles. So, out of the many Christmas presents for teachers to choose from, this would be a great one! It will help her carry all of the papers she needs to grade at home. Although I don’t use essential oils myself, many people swear by the helpful properties of them. So, why not consider giving the special teacher in your child’s life an oil diffusing bracelet? It is beautiful and functional which makes it a winner in my book! Since the likelihood of your child’s teacher having an Amazon Prime Membership is extremely high, this would be one of the best Christmas gifts she could receive. Let’s be honest, she can use it for virtually anything in the world that she wants. Out of this list of twelve Christmas presents for teachers, which one do you think would be that special teacher’s favorite? 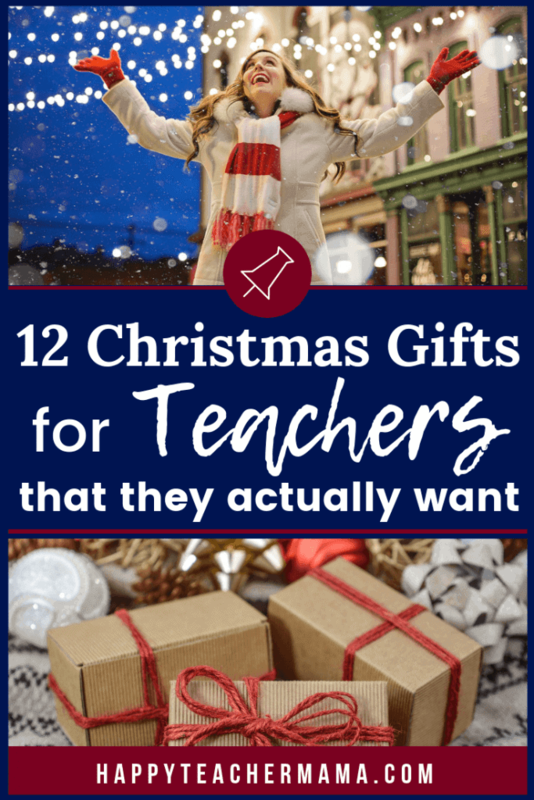 While it may be hard to narrow down the most favorite, this list is bound to contain at least a few gifts that you would want to give to the most deserving teacher in your life. « How to Sell on TpT: 3 Things You Must Do First!